Feels track record may be in Jeopardy with new car. CONCORD, N.C. - Last June, Marcos Ambrose had a magical day when he became the first driver in NASCAR history to win the pole with a lap faster than 200 miles per hour on a non-plate track. Ambrose and the No. 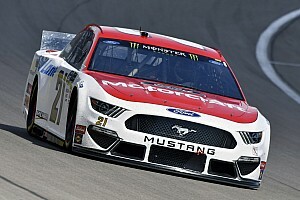 9 Stanley Ford team posted a lap of 203.341mph, the first time a team broke 200mph since 1987 when Bill Elliott posted a lap of 203.827mph at Talladega Superspeedway. The pole was the first in the NASCAR Sprint Cup Series for Ambrose. The team went on to score a top-10 finish, a first for Ambrose at the two-mile track. In August, the team continued to show speed, and Ambrose drove from an eighth-place starting position to a fifth-place finish. In his nine starts in the Irish Hills, Ambrose tallied his best starts and finishes last season. 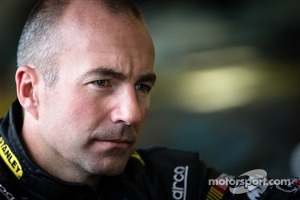 Comments from DEWALT Ford Fusion Driver Marcos Ambrose: "Michigan is an oval track that we have circled as a place where we feel confident I could get my first oval win. Our team was very strong there last season. We started and finished both races in the top-10. That's what it takes to get a win. You have to be up front and challenging the leaders. We did that here last year, and I think we can do it again this year. The key will be track position. It has always been important at Michigan, and with the Gen-6 cars, I think it will be even more important. "Last year, it was amazing. The speeds were outstanding, and with this car, I feel it's going to be even faster. I hope the record stands, but I feel it may be in jeopardy. 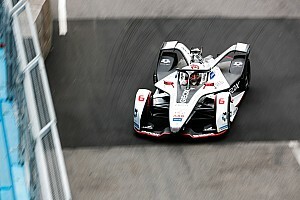 These new cars are just faster and we've seen track records fall almost each week. It may be crazy to think about how much speed we'll have this time. I'm sure the tires may slow us down a bit, but we'll see. "Everyone has a balance of safety and speed. It's everyone's job, and everyone takes it seriously. I think we all do a good job too. I love going fast. It was awesome to win the pole last year going that fast. At the same time, we know there is a line to keep everyone safe. It's a balancing act, but I feel safe." Comments from Crew Chief Drew Blickensderfer on Michigan: "Michigan is a very fast track. We are bringing the same chassis we ran at Texas. We ran really well there and showed a lot of speed. We were in the top-15 for most of the race before a late race incident. 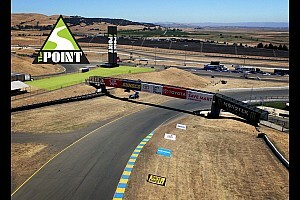 Track position is important here. 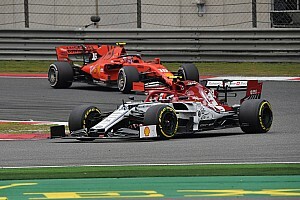 With the speed we have been showing at the bigger, fast tracks, I think we can get a good starting position. It will be important to stay up front during the race, so we can be there at the end."